Meyer Caribbean has the most established Caribbean network and specializes in moving to and from the many beautiful Islands. With Meyer Moving you’re choosing a reliable moving partner to and from Aruba, Bonaire, Curacao, Guadeloupe, Haiti, Martinique and Saint Martin. 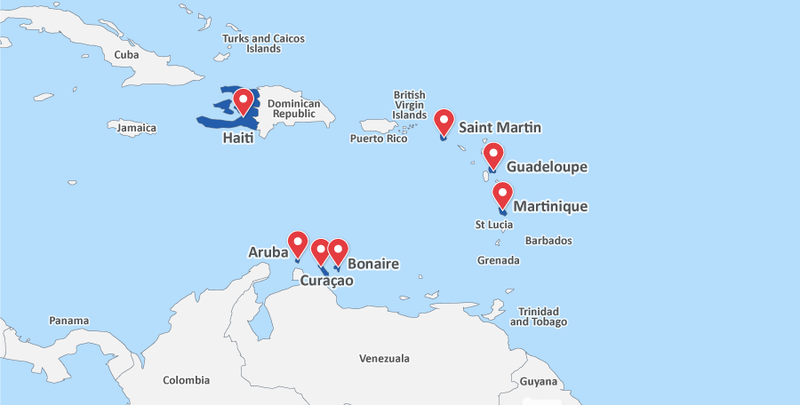 Moreover, we have an extensive partner network on other islands throughout the region. Meyer Moving fosters long-standing working relationships with its clients. We provide post-move support whether you’re moving locally or internationally and focus on our clients’ specific needs. Our goal is to form a successful working partnership with our clients which enables Meyer Moving to truly deliver an outstanding service. Meyer Moving provides a full range of individual removal services. Our full-support approach helps you and your family every step of the moving process.